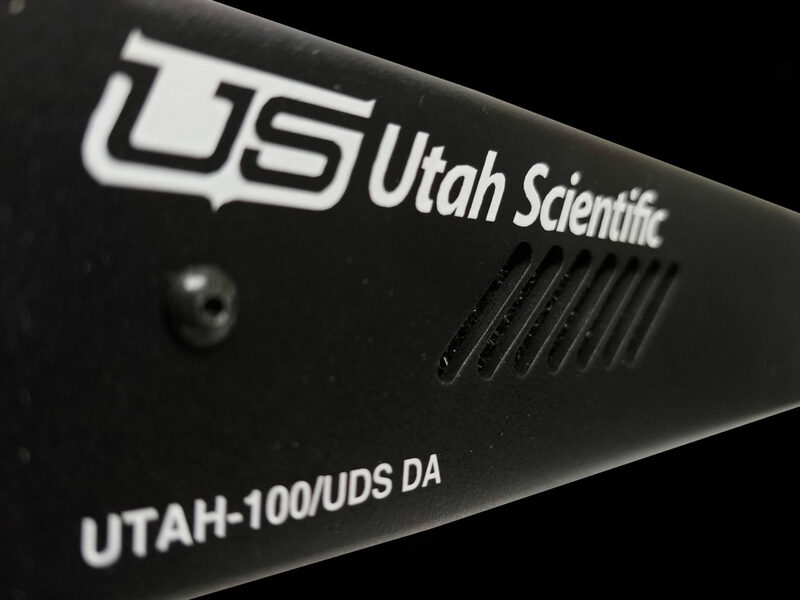 The UTAH-100/UDS is a refreshing approach to signal distribution. 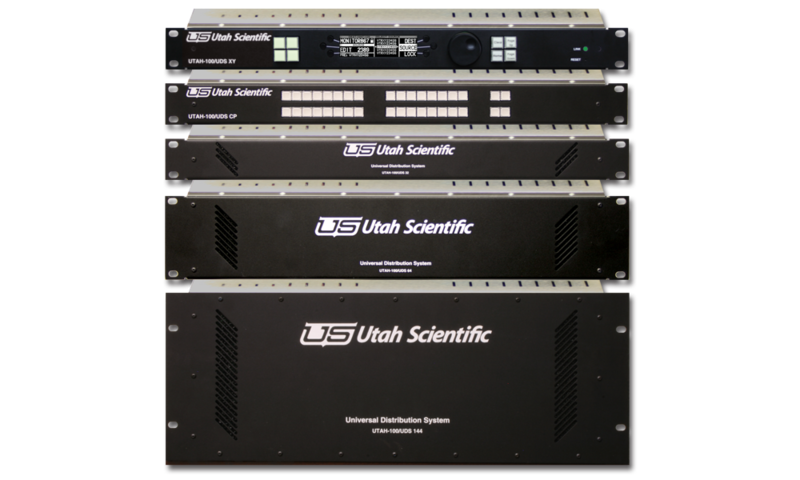 The UTAH-100/UDS combines the flexibility of multi-rate digital switching with the economy of a simple distribution amplifier. This product is for use in signal distribution application in any type of facility. This modular system is based on I/O modules with 16 ports that are interconnected by a cross-point fabric which allows any input signal to feed as many output ports as needed. The economical design of the modules make it possible for a 4 RU frame to feed 144 output ports at a fraction of the cost and power consumption typically found on other DA packages. In addition to this, the UTAH-100/UDS also enables you to assign signals to each output individually. This amazing unit’s flexibility doesn’t stop there either. Through the use of our award winning FLEX-I/O modular system you select the signal format of each I/O port from a complete range of options. These options include: analog video, digital over fiber or coax at any rate up to 3Gbps, DVI, HDMI and even IP- encapsulated DVB-ASI streams. The UTAH-100/UDS is controlled and monitored by a built-in web interface. External hardware control panels and virtual control via Ethernet can extend the functionality of the system to local and remote users as necessary. In addition to system configuration, monitoring and control, the web interface provides a way to group combinations of output ports into an output block. Once that block is created any input signal can be routed through with a single selection. This feature can be extremely useful in dubbing applications or where reference signals need to be switched to a complete studio system or edit bay.